Pre-inked Stamps make your life much easier ! They are tremendous time-savers. 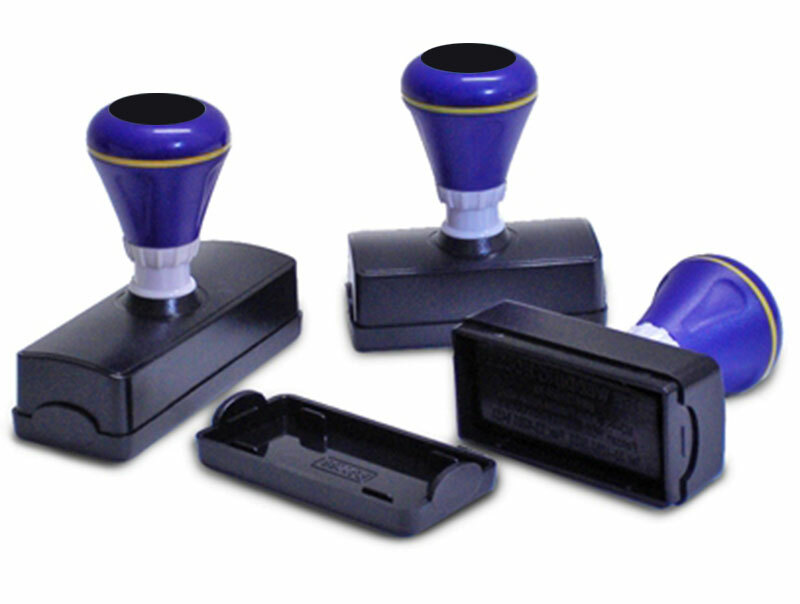 They are different from self-inking stamps as they have are no moving pads inside ( Thus, no more jams ! ). When you need to make a "lasting impression", use Pre-inked Stamps ! For large quantity of Pre-Ink Stamp order, processing days will be longer, please contact us to arrange delivery schedule. Sorry, No Rush Order for Pre-Ink Stamp. The format templates is help you to design an artwork in a right format. It will prevent error occur during order progress. The format template is easy to use, save time and it is FREE ! ** Please download the template before you start design artwork ! !